More and more often we’re seeing professional athletes calling up on custom sneaker creators to outfit their own shoes with one off looks. 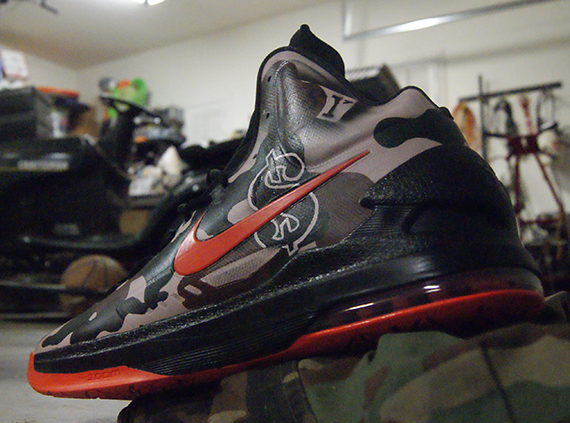 Guys like Kevin Durant and LeBron James of course get plenty of one-off sneakers thanks to their Nike connections, but it’s not too surprising that every once in a while they’re after something beyond what those colorists are willing to do. 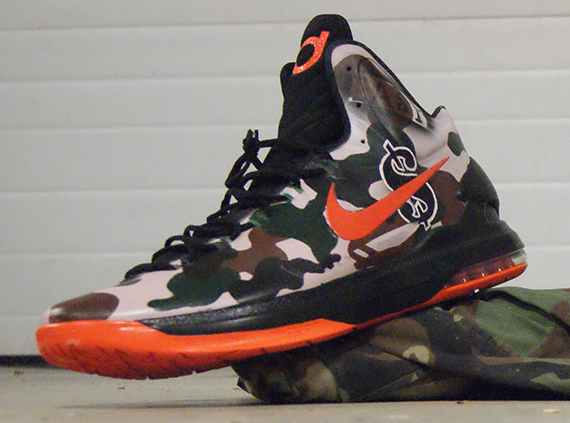 The latest case of that is this Nike KD 5, one that Durant himself commissioned AMAC Customs to do. 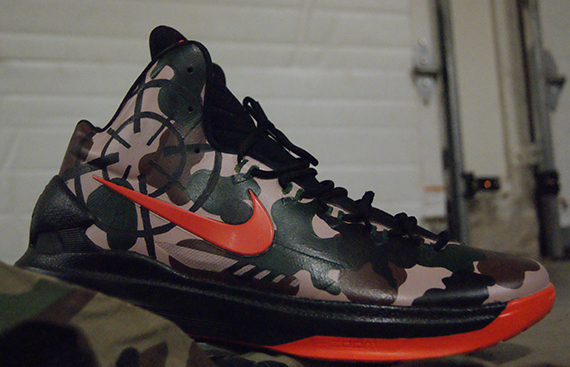 The sneakers sport a camouflage upper complete with a target in reference to Kevin’s Instagram handle @easymoneysniper. 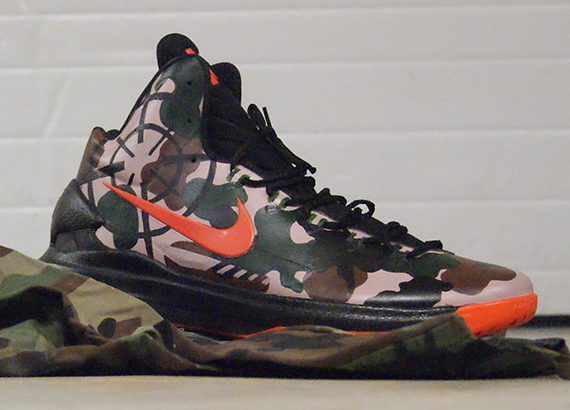 Continue reading to get a better look and stay tuned to see if he’s spotted wearing them any time soon.